What is Little Free Libraries? Little Free Libraries is a non-profit movement throughout the world that offers free books housed in small containers to members of a local community. The concept is for the public to take a free book from the Little Library, then return it or put another book back into the Library to replace it. Duke Energy has approached the Greenwood Public Library to fund this idea in Greenwood. The Friends of the Greenwood Public Library have agreed to donate books to the project. The goal is to promote reading throughout the Greenwood Community, in unexpected places. 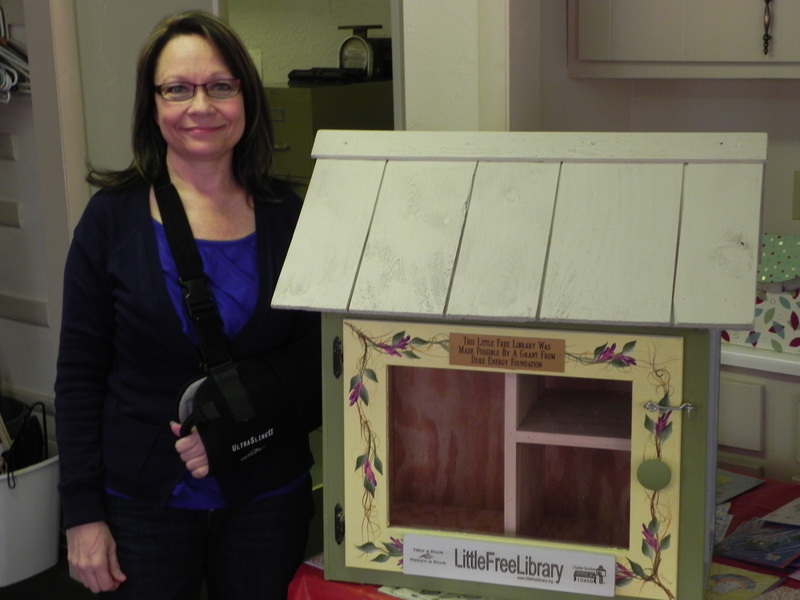 Want to learn more about the Little Free Libraries project? Visit their website here. Where are the Little Free Libraries in Greenwood?